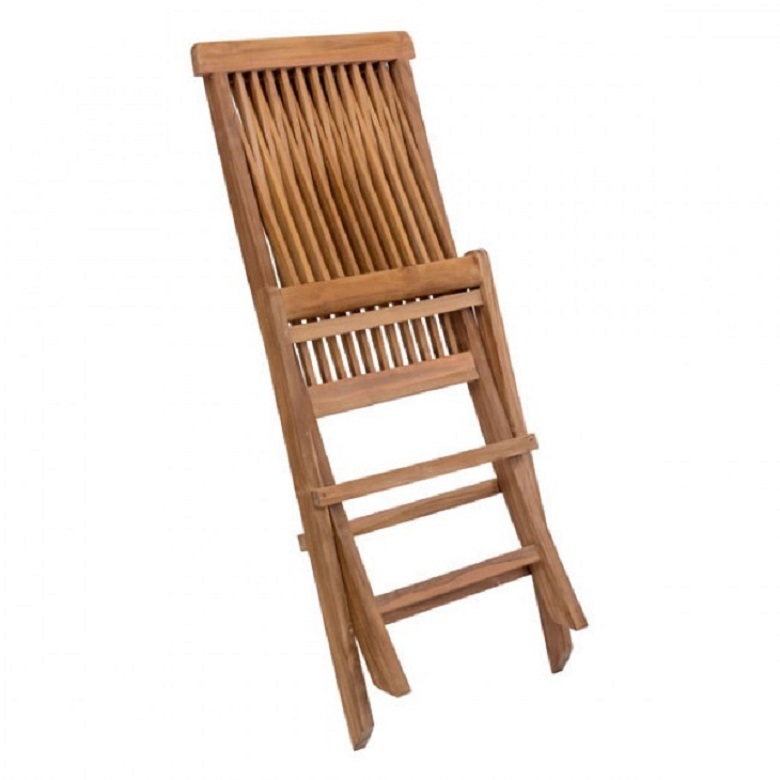 Our teak folding chair is made from solid unfinished Teak. The grade of Teak is BC, which limits the amount of knots found in the wood. 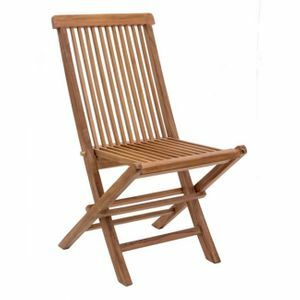 This chair casts an impressive and contemporary silhouette inspiring any space; it has a locking pin system to for folding safety. Dimensions: W 18.6 x H 35.0 x D 24.0.